Tactile items and products have always been a big deal in my life. It’s probably the graphic designer in me, but I love being able to handle something with texture and substance, all while still looking appealing. Making hand-written lists is so much more effective for me than making lists in a program on the computer. It feels more real when I get to physically cross out a task rather than using the delete key. 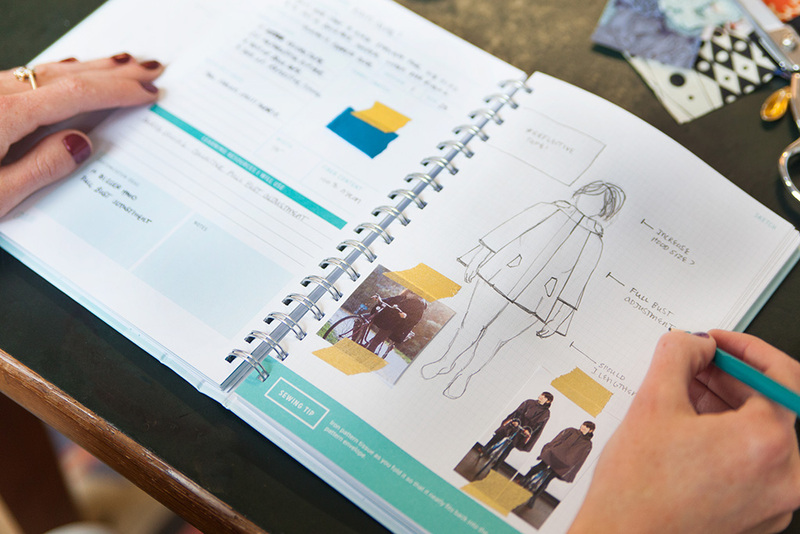 The Colette Sewing Planner is seriously so much fun to work with. Since I’m newer to sewing garments in the last year or so, it is really cool to be able to organize and prioritize projects for my sewing queue. There is this extra level of care and genuine thought that I didn’t really put the time into when previously planning my projects. Gone are the days where I have random notes in places I’ll never remember, and spending too much time on my phone in the fabric cutting line to figure out how much I need for a project (can you tell I don’t plan very well?). I can have everything in one place now. I tried really hard to realistically think about what my style is when picking these images, not who I want to aspire to be. I realized that a lot of the images I gathered don’t really have a TON of pattern, they mostly have a subtle pattern and really bold colors incorporated. 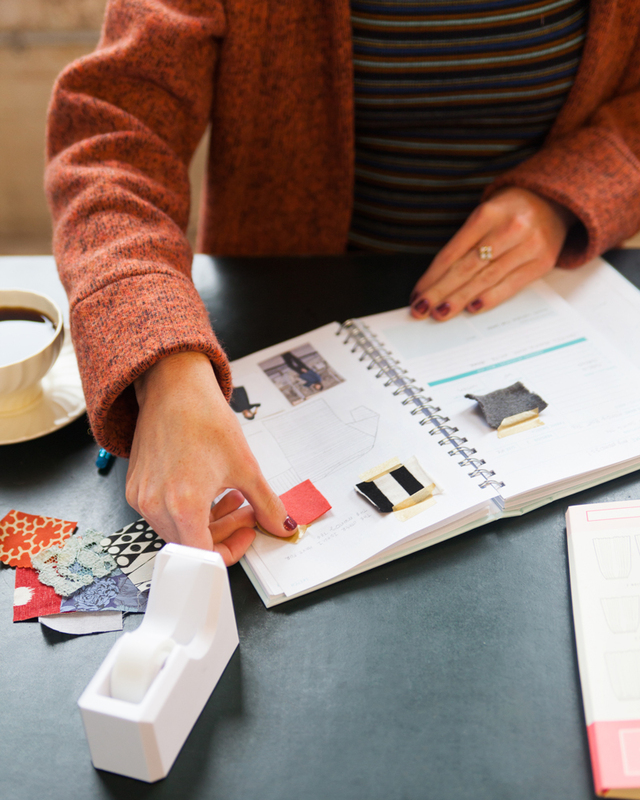 An example of how the sewing planner kept me focused is this past weekend, it saved me from buying fabric that I loved in the moment, but I knew I wouldn’t end up liking as a garment for myself. Referencing the “My Style” Section is really helpful as well. It keeps me very focused on what I need to concentrate on and it’s a great reminder to work on the projects I have already planned for. 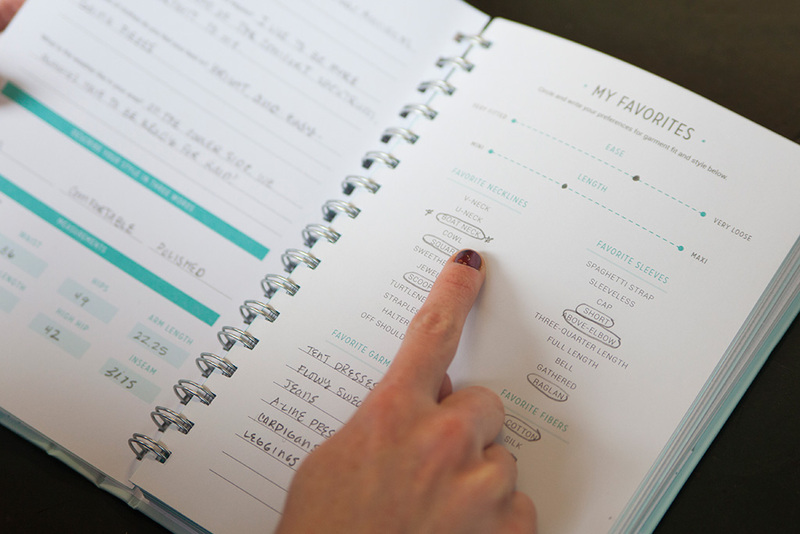 The planner has also helped me plan specific details. I’ve been slowly working on a rain cape for riding my bike in the rain. Sewaholic’s Cypress Cape is in my queue, but something I was worried about is how much volume there would be. I love a loose-fitting silhouette, but sometimes too much ease can really weigh a sister down. So I used the croquis in the back to try to better imagine what it make look like on me in real life. Here are two more project pages that I’m currently working on. I like to put reference images and notes to myself to keep myself focused to get the results I really want. It’s what I need. I’m a visual and tactile person. I get so much more done when it’s right in front of me, rather somewhere in computer space. What about you? Are you someone who needs to physically make a plan by writing it down, or do you have other ways of planning that work better for you? 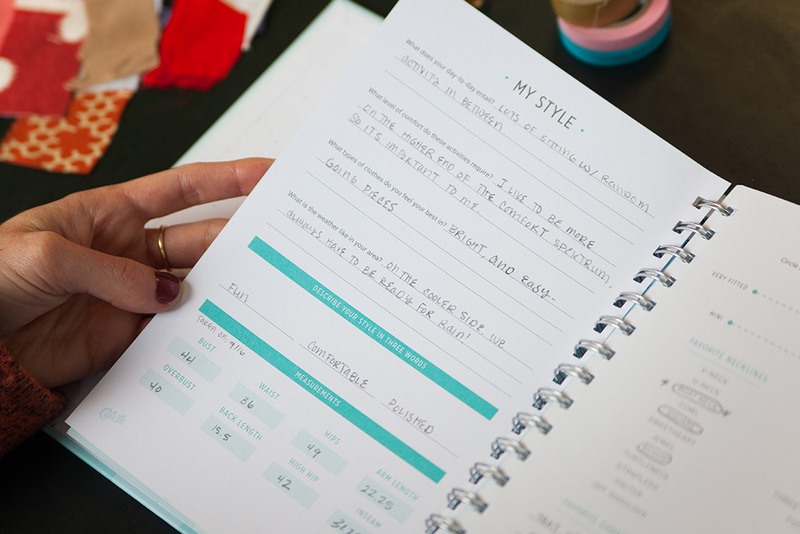 Want to grab your own planner? Taylor is an enthusiastic maker. 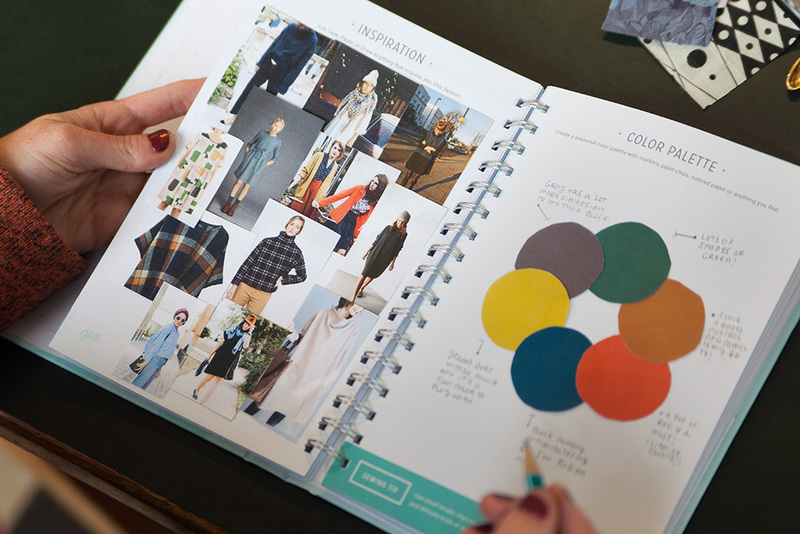 As the graphic designer at Colette she infuses her creativity into all of our projects from print to web. I First read about this on my e-mail. my reaction was “what!? 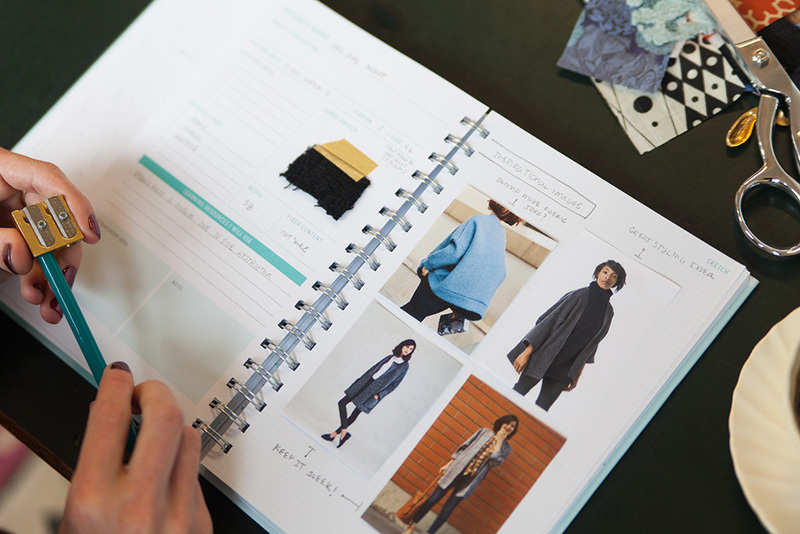 there is such a thing as a sewing planner? !” I was thrilled! I’m a planner/agenda person and when I read about a sewing planner I already knew I was going to buy It and I did. I can’t wait to have it in my hands and even post a review on youtube. I know is going to be a great tool! Especially since I have two jobs + my sewing passion…yeah I need manage and organize as much as I can. Thank You for coming up with this wonderful idea! This is way out of my budget. 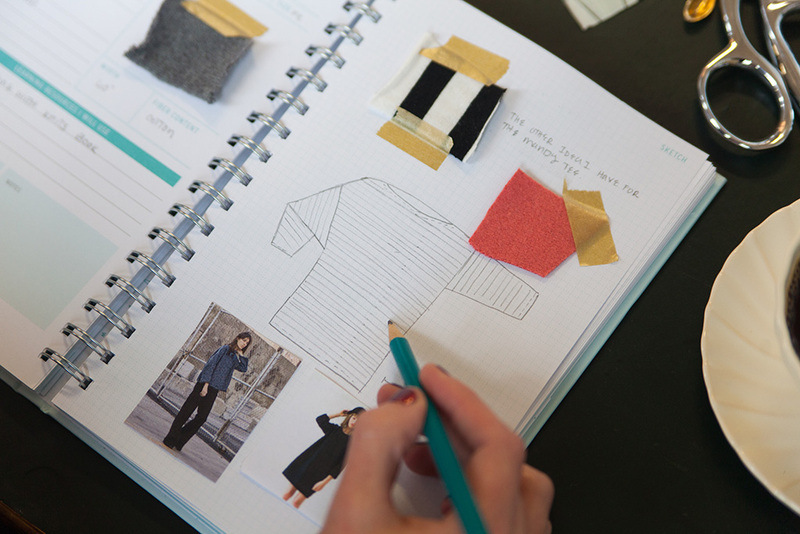 But I love the idea and I’m going to come up with my own, using my notes from Wardrobe Architect. I’m going to use some of the realistic tracings from http://www.tracingrealbomodels.org for croquis.